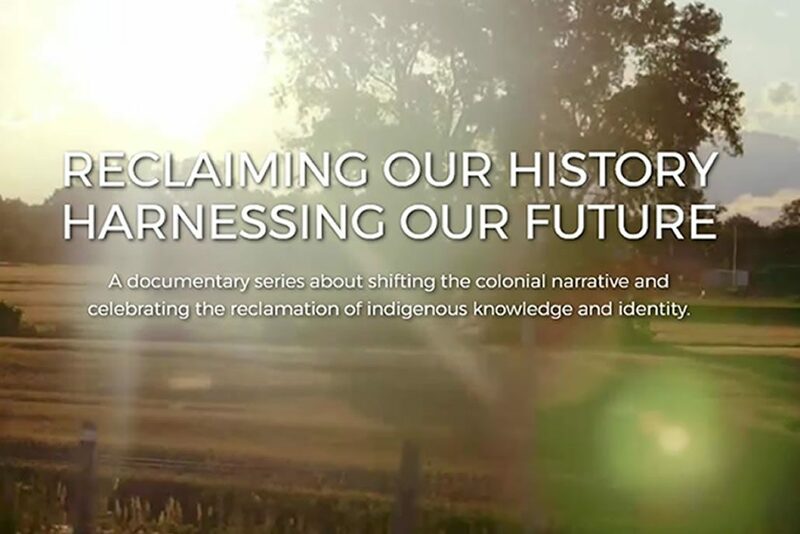 A documentary series about shifting the colonial narrative and celebrating the reclamation of indigenous knowledge and identity. Future History follows two passionate, and polar opposite, Anishinaabe (Ojibway) hosts as they venture into their community to gain a deeper understanding of Indigenous Knowledge and the movement of cultural revitalization. For generations, across North America, Indigenous People have been reeling from the devastating effects of colonialism that has left children, language, ceremony and culture at risk. But today, a movement of reclamation and revitalization is being led by Indigenous People who are harnessing Indigenous Knowledge as a way to shift the colonial paradigm and build a brighter future for the next generation. From Arts and Science to the Justice System, the resurgence of Indigenous Knowledge is stronger than ever. Future History is a journey of discovery through an Indigenous lens, a journey that will inspire and enlighten audiences of all ages.